Victoria's Country Fire Authority (CFA) in its Annual Plan for 2008-09 (CFA's Plan) clarifies its 'Strategic Direction' for the forthcoming year out of its longer range Corporate Plan [2007-2011]. This Strategic Direction was in effect well before the Black Saturday catastrophe and remains in place. No doubt, the longer range Corporate Plan [2007-2011] remains in place too. The CFA's Plan states that the purpose of the CFA is: "guided by our legislation our purpose is to serve the communities of Victoria in supporting and educating them to protect themselves and others from fire and other emergencies." But herein lies one of the root causes behind Black Saturday. Is the CFA's stated purpose appropriate? Can we now say with the benefit of hindsight that it is still appropriate in the wake of the categorical failure by the CFA to control the many ignitions across Victoria before, during and after Saturday 7th February 2009? Did not the CFA have the benefit of hindsight following the 2003 Victorian Alpine fires and the 1983 Ash Wednesday fires to put effective strategies and resources in place before Black Saturday? Issue 1: The CFA is dictated by legislation. The Victorian legislature dictates the CFA's role, responsibilities, and functional scope. If the performance of CFA against its role, responsibilities, and functional scope is below standard, then this reflects a failing of the CFA Board and Executive. But if CFA's role, responsibilities, and functional scope is not what the community expects of its prime rural fire fighting authority, then this cannot be the CFA's failing but that of the Victorian legislature. Issue 2: The CFA considers its purpose in fire fighting as one of "supporting and educating communities to protect themselves from fire and other emergencies." Surely the core purpose of this fire fighting government agency is to fight bushfires - to prepare for, detect, respond, and suppress bushfires! But 'supporting, educating and helping' communities to protect themselves seems to be a cop out. A support focus is inconsistent with the CFA's stated Goal No. 1 'To reduce the impact of fires and emergencies in Victoria'. How has this disconnect come about? Issue 3: The CFA's Plan desribes the CFA's responsibility as one extending beyond fire fighting to "other emergencies." This seems quite vague and open ended. 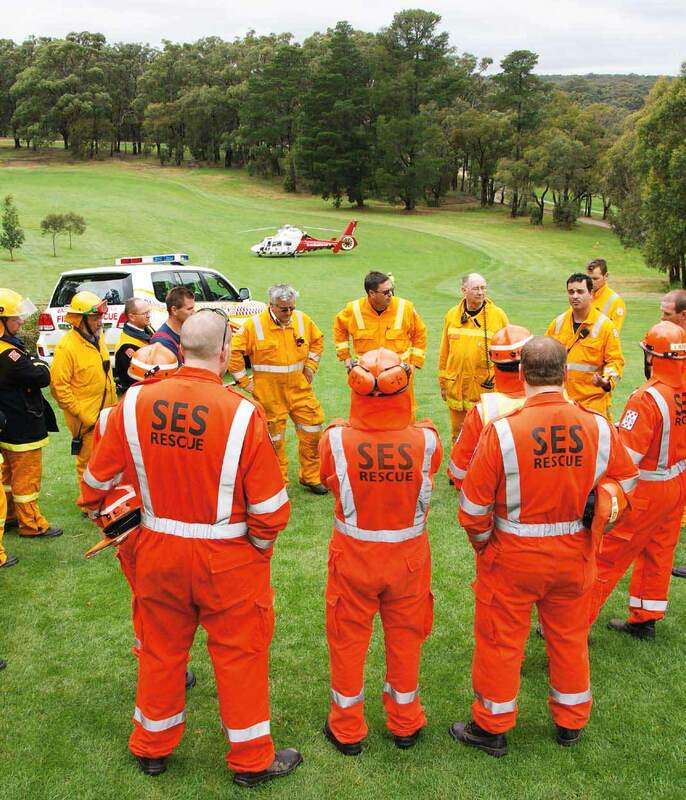 And is not the State Emergency Service (SES) charged with dealing with other such emergencies? Indeed, how many disparate organisations were whipped up on 7th February? By adding to the CFA's core fire fighting task, these 'other emergency' must surely dilute the resources and skills training the CFA can focus on bushfire fighting. So 1/3 went into preparedness - clearly how that as spent didn't work for Victorians last February! Can the CFA Board and Executive explan how that $98 million in Preparedness helped prevent Black Saturday from being worst that what it was? Another 1/3 went into 'Organisational support'. What is this? Overheads? One must question whether 28% of funding wrapped up in non-fire fighting overhead tasks is duplicated across the SES and urban Fire Brigades? And just 18% went into actual fire fighting - detection, response and suppression of bushfires! Assumedly the CFA budget all relates to bushfire management, however does it? This is not clear given the 'other emergencies' the CFA is required to deal with...and where does the CFA, Fire Brigade and SES budgets, roles and responsibilities start and finish? It is all very loose, perhaps politically so. The bulk of the CFA's capital budget for 2008-09 has $24.8 million goining into building more fire stations and an additional $24.7 million on more fire trucks. Again the question is, would more fire stations and fire trucks have mitigated Black Saturday? Would more fire stations and more fire trucks avert another Black Saturday in the same area or elsewhere in the State? How is such massive investment of this combined $51 million to address the systemic failings of ignition detection, response and suppression - especially when those ignitions are often in remote inaccessible country? The CFA's Plan also estimates the volunteer cost component to be in the order of $840 million; approaching a figure triple the government's annual funding allocation! So not only is the CFA supporting, educating and helping communities to protect themselves in the event of bushfires, indeed communities volunteer themselves to do most of the fire fighting emergency work! The government is wanting to have its cake and eat it too. It wants to be seen to be providing a core emergency bushfire fighting service to the community, yet expects this to be done by the CFA with grossly inadequate funding, charges the CFA to mainly support, educate and help communities fight their own fires and expects communities to perform most of the fire fighting anyway. Lastly, the CFA Plan states that "during 2007–08 the CFA Board worked with executive management to refine CFA’s strategic direction and, in doing so, six strategic issues were identified that both the Board and executive management need to focus on in the coming year. How are these related to the core task of bushfire fighting? Do we as that our police service or urban fire brigades or ambulance service or ineed armed services have such public service themes, or do we expect them to do their job properly and accept we must pay for it through our taxes? I'm sure many rural Victorians would be happy to pay higher taxes if they knew their bushfire authority had what it needed to protect them in the event of bushfires. Issue 5: Brumby's Royal Commission is soon to deliver its findings and recommendations out of its investigations into the worst bushfire tragedy in Victoria's history. How will the Commission's recommendations contrast with the strategic focuses set by the CFA Board and Executive? Hopefully, one of the very few redeeming features to emerge from this dreadful tragedy will be a final public realisation of how grossly out of touch CFA leadership has become, how negligent the Brumby Government has been to fund and evolve the standard of bushfire fighting, and how sorely let down Victorian communities were last summer when they entrusted their government to warn and protect them from bushfires. Michael Bachelard’s article in the Sunday Age(31/5) “Rigid bureaucracy fuelled Black Saturday Chaos” highlights how the Royal Commission into the Black Saturday bushfires is being undermined and sabotaged. The purpose of a Royal Commission is to give individuals and organisations the opportunity to make submissions to the Royal Commission on the understanding they will not be penalised by outside authorities for making a submission. The ability of a Royal Commission to obtain the facts and opinions it requires to make recommendations to the government hinges on witnesses knowing they will be able to give their opinions without being punished by extra judicial authorities for publicly articulating their opinions. It says volumes for the men and women of the Victoria Police Force, (many of whom dealt directly with the disaster) that only one Police Officer, Senior Constable Ken Dwight, has made a direct submission to the Royal Commission bypassing the Victoria Police Force’s “Royal Commission Liaison Unit”. For his troubles Senior Constable Ken Dwight is now facing an internal disciplinary hearing for making a submission. Other members of the Victoria Police Force, concerned about their careers, have spoken to Michael Bachelard anonymously about what they believe are the problems police encountered with the response to the fires. Unless the Royal Commission is willing to charge those police officers who have instigated disciplinary action against Senior Constable Ken Dwight with contempt of the Commission unless the disciplinary hearing is stopped, the authority and the ability of the Royal Commission to gather all the information it requires to make its recommendations to the state government are seriously compromised. " "No stone unturned" - Brumby, 16th Feb 2009. So, should a conflict emerge between the powers of the Royal Commission and rules imposed on employees of the organisations who played some role in the emergency function who are contributing input to the Royal Commission, then this is a matter for Premier Brumby to resolve. If the integrity of the Royal Commission's terms of reference is not preserved, the public perception of the process to seek the truth will indeed be "seriously compromised." Brumby's Royal Commission for the 2009 episode is scheduled to cost $40 million. The public and bushfire management must hold Brumby to account to provide a satisfactory return on that $40 million investment. This is on top of the $2 billion or so that the fires cost Victorians and on top of the Victorian Government's moral obligations to do so. I think you need to revisit this article, you clearly have no idea of the relationship between education and reduction in fire outbreak, this is proven and evidence is available from most forward moving societies. You seem to be intelligent but you speak utter nonsense.